My 31st birthday was full of surprises. An unexpected work trip to French Riviera and I was all set to turn 31 in style. 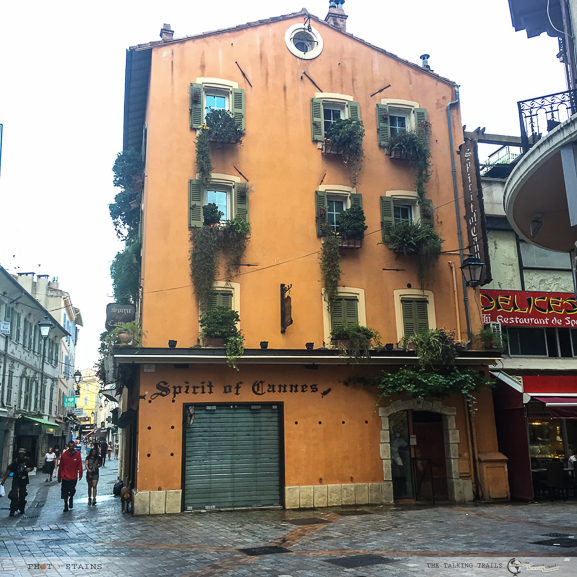 The French Riviera (also known as the Côte d’Azur) is a great place to tour as a family and Cannes undoubtedly is one of the most beautiful cities of southern France. Cannes has been made famous by the legendary Cannes Film Festival which is held annually in the idyllic Riviera city. The impeccable yacht lined harbour provides a perfect backdrop to Hollywoods (and now bollywoods ) finest. The luxury , the class and opulence Cannes is truly the Beverley Hills of French Riviera. 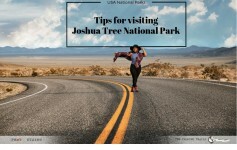 As you walk around expect to see expensive cars, beautiful glam-ed up girls with their small dogs , luxury boutiques, restaurants and every possible high end brand store that you can think of. Cannes faultlessly combines glamour with opulence. 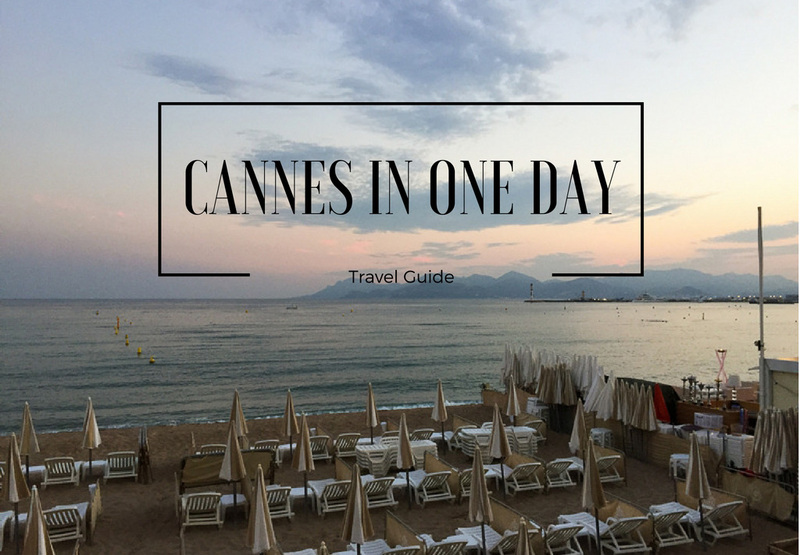 So here it is ” Cannes in One Day : A Travel Guide”. 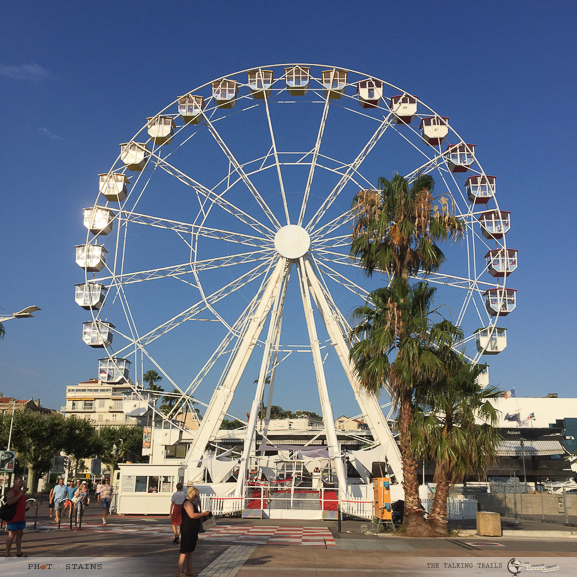 Being the resort that it is, Cannes is accessible by all means of transportation, that is, by air, by car, by train or by boat/ferry. By Air : The biggest international airport near Cannes is Nice International Airport. Cannes is around 24 kms away from Nice airport. You can either take taxi or a bus and it will directly take you to Cannes. By Train : The second most popular and efficient way to get to Cannes is by train. Cannes is serviced by three types of international trains, -Trains Bleus, Trans-Europe Express and the high speed trains. It about 7 hours away from Paris , 5 hours from Milan and about 10 hours from Venice and Rome. 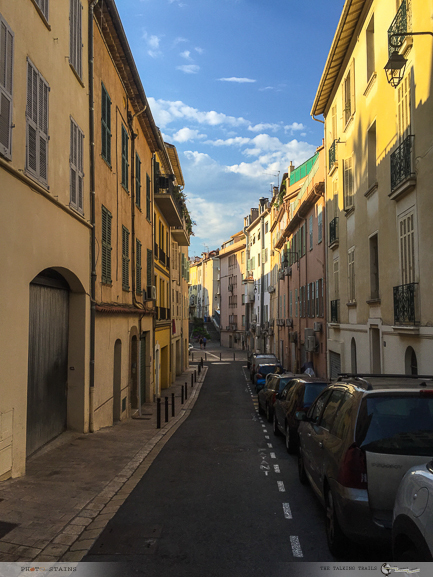 If you land in Nice , train is still an option , however train station is 30 mins from airport. I will suggest to take a taxi or bus in that case. By Bus or Car : The best way to enjoy french riviera is by car. The views of Mediterranean sea hugging the coastline are spectacular. If you intend to travel from Nice , the most reliable public transportation is bus. 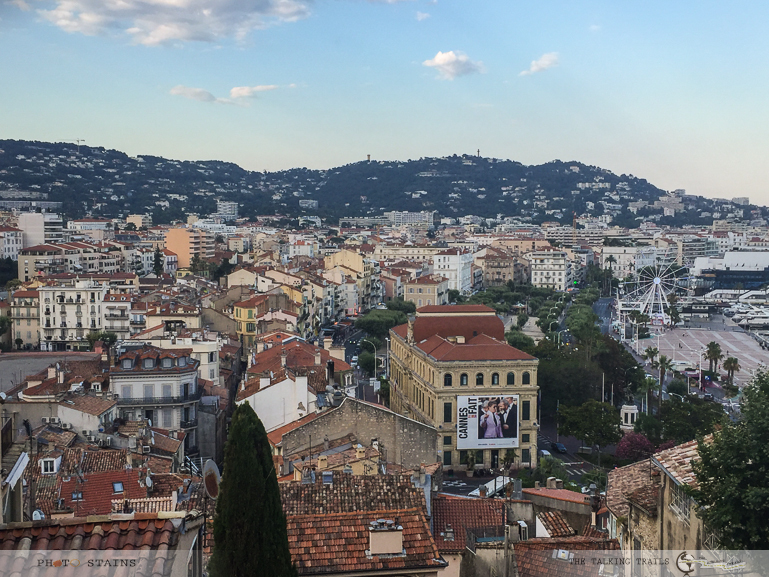 The buses are quite frequent and it takes less than an hour for the buses to get from Nice to Cannes – the buses pick up travelers precisely from Terminals 1 and 2 of the Nice International Airport and drops at the Cannes Bus Station, which is extremely close to the Palais des Festivals. If you decide to take bus, take bus 210 which is express service. Bus number 200 makes much frequent bus stops and takes over 2 hours to reach Cannes. Cannes is expensive. I will suggest to ditch staying in Cannes and rather stay in Juan les Pins or Nice. 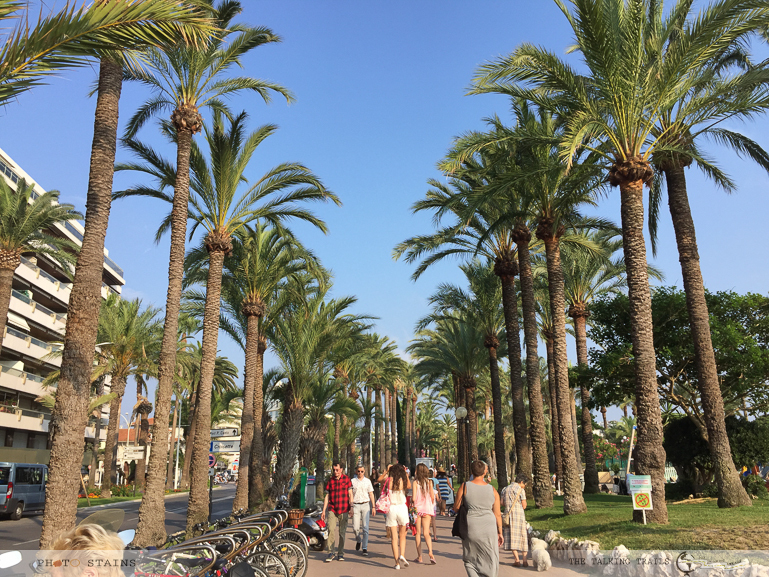 I stayed in Ibis hotel at Juan Les Pins and it was good. In Juan Les Pins and Nice you will also find a lot of hostels and other budget hotels. June- August is the peak season when it comes to tourism in French riviera. The beaches are flooded with people and so as hotels. 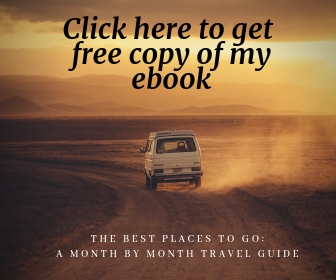 If you can , try avoiding these months. Cannes is very expensive when it comes to food. If you do not keep a check on your spendings on food, it can definitely drill a hole in your pocket. Plan on doing a lot of walking if you want to save money. Cabs are expensive and you will not want to wait for public transportation. So do carry a comfortable pair of shoes with you. 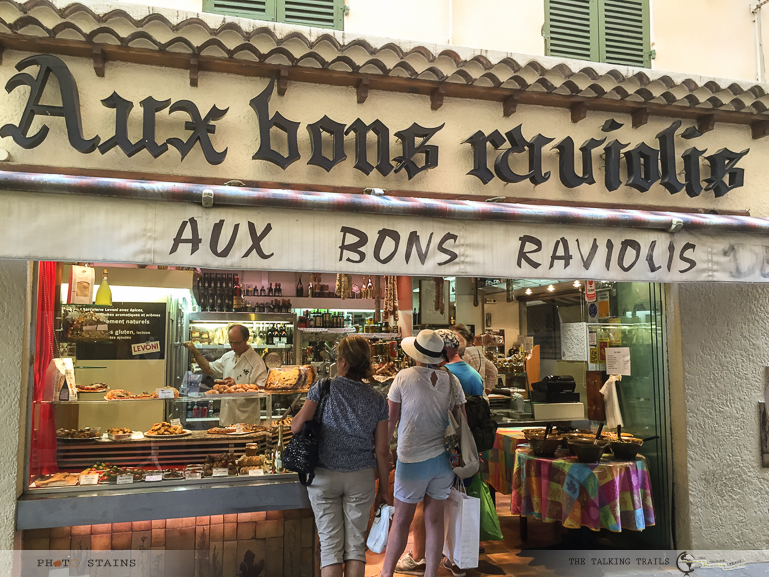 If you love to shop, there’s no better place to indulge than Cannes. For shopping of clothes try Naf- Naf , Promod, Etam and Sandro – good variety and not so expensive. Almost all stores take major credit cards , so no need to carry cash with you. If you are driving from Nice or Juan Les Pins , there are couple of parking options that are relatively cheaper. 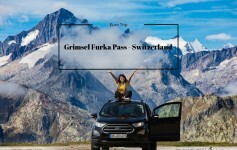 Try Effia Parking – 3 EUROs for 3 hours. If you are in Cannes , walk along La Croisette is a must. Stretching down for two kilometres from the Palais des Festival , La Croisette is Cannes absolute favorite. On one side you can see magnificient yachts , cruise ships , people enjoying sun and sand underneath palm trees and on the other side you can find luxury boutiques , high end designer stores and other luxury shopping options. 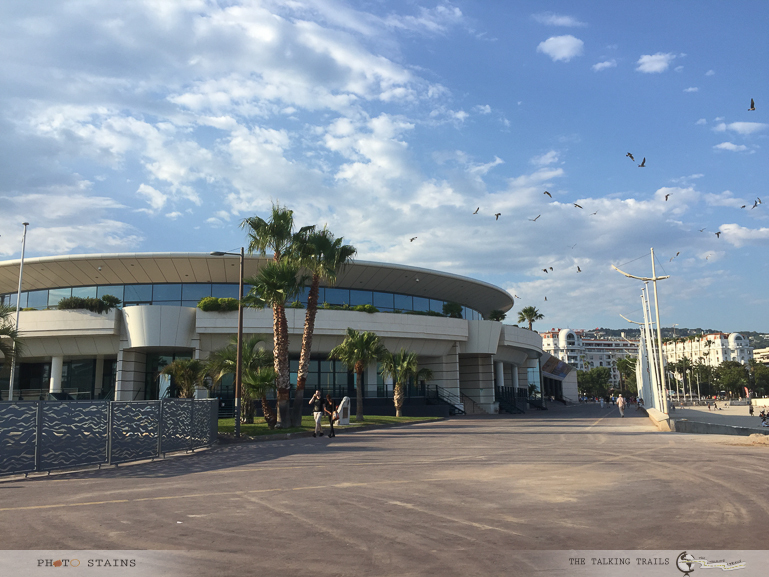 One walk along La Croisette and that will tick off pretty much all “things to do” in Cannes. Walk this boulevard in the day for the life and in the night for the lights – you will catch all the action of Cannes here. Note : As you walk , through this boulevard , there is one building that is bound to catch your eye : Intercontinental Carlton. If you get a chance , do visit this hotel. The interiors are fantabulous and there is so much history to this hotel. I was taken to a tour of this hotel and view from every room is to die for. 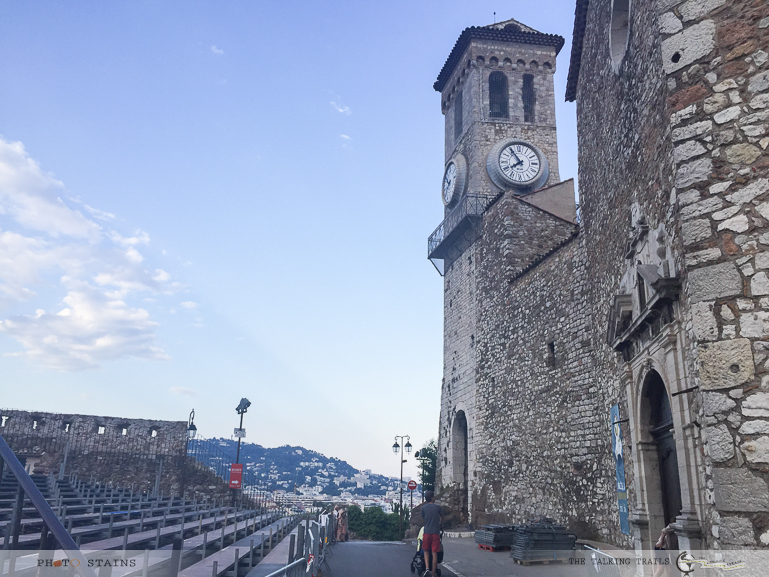 High up on the hill in old Cannes , you will find a clock tower named Muse De La Castre and Gothic- Renaissance Church known as Notre Dame d’Esparance. Of all the places I roamed around in Cannes , this was my absolute favorite. The hike up to clock tower is not much , 10 – 15 mins max but the view of the city is absolutely breathtaking. Muse De La Castre has surprisingly large and significant art collection. So if you are an art lover , do stop at the museum. You can also climb up the watchtower which is like 109 steps and from the top you can have magnificent views of the sea and the Croissette that will definitely take your breath away. The best time to go to this point is at sunset. Stay there for a little late and you will see entire Cannes lighted up. Keep your camera in hand , your head will spin with all the photo opportunities. 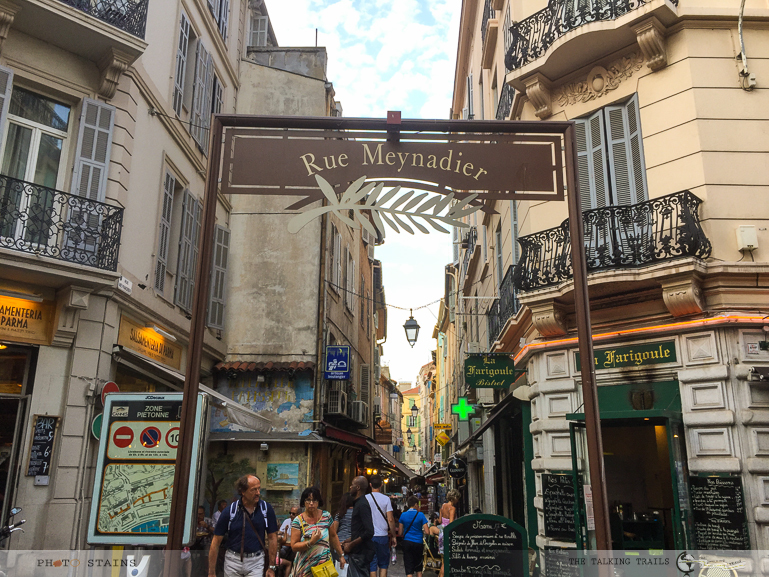 If you term La Croisette side of Cannes as luxury bound , you will find more budget friendly bargains in Rue Meynadier area. I always prefer local over franchises and most of the shops, restaurants and bakeries in this area are locally owned. 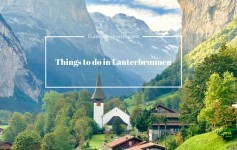 The houses are charming 18th century constructs that have been remodeled into either trendy and affordable boutiques or some of the mind-blowing cuisine destinations in the world. As you walk through this market , everything will look so tempting , trust me. The fragrance of perfumes , coffee shops, bakeries, chocolate heavens , trust me you will not leave this place without shopping. I bought all my souvenirs from this area. A lot of shops close a little early in the evening and that is when the restaurants and bars start to pick up the pace. Saint Marguerite and Saint Honorat Islands: The two Lenin islands are a ferry away from Cannes. I was told that these two islands have a lot of history to them and the beaches here are much more exclusive and cleaner than other public beaches in Cannes. 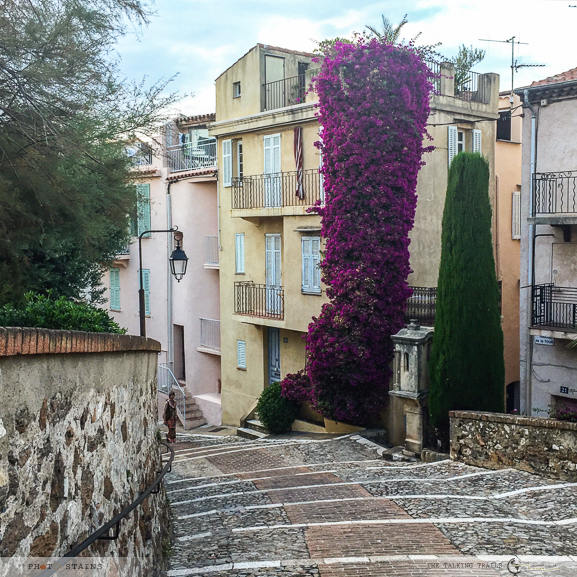 To reach to these islands , you can take a boat ride from port of Cannes . The eating options are limited and hence the restaurant(s) on these islands are expensive. Cannes truly amazed me. Before visiting Cannes when everyone said ” You will fall in love with Cannes” , I thought – “WE WILL SEE”. But now after seeing its sandy beaches, food, shopping, history and sunsets I can say ” You will fall in love with Cannes” . 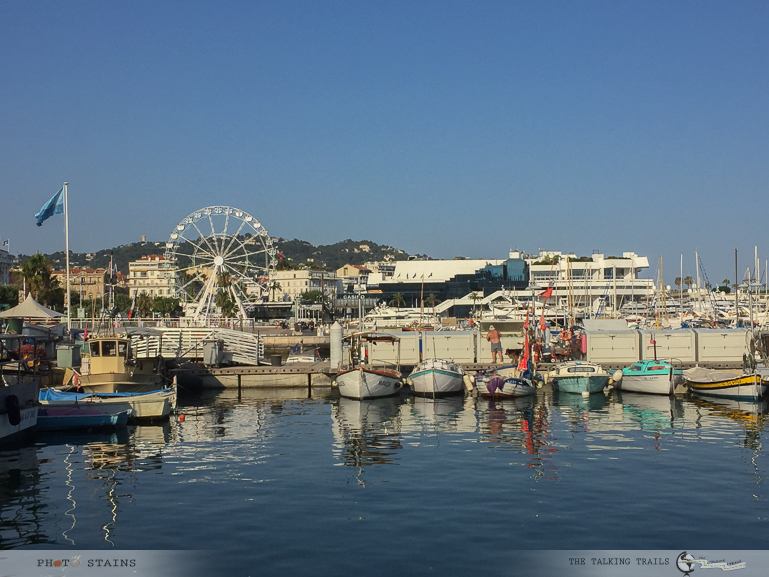 Cannes is often related with luxury ,style and celebrities , but its so much more than just fashion. I wish I had a little more time to explore but one thing is for sure , I will come back to Cannes- one day. Have you been to Cannes? I will love to hear about your experiences. Thank you for stopping by.